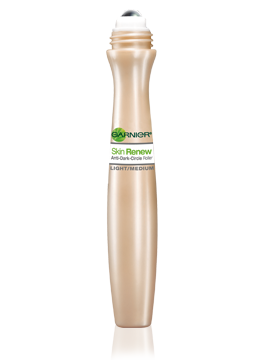 The first on my list is the Garnier Skin Renew Anti-Dark Circle Roller. Caffeine gel stimulates and energizes, while lemon essence brightens your under eye area. The rollerball feels like a mini-massage and it really works wonders on your under eye area. I would also recommend this as a concealer for those hard-to-conceal dark circles. It has a pleasantly mild scent that’s virtually undetectable, which is great if you’re sensitive to scented products. 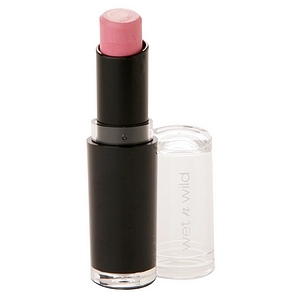 The next product that I’ve fallen in love with is Wet ‘n Wild Mega Last Lip Color in Think Pink (901B). It’s this beautiful bubblegum pink that just looks gorgeous on! Plus, it has great pigment, it’s creamy, and doesn’t feather at all – and all for $1.99 at your local drugstore! I wait all year ‘round for fall just so I can break out my boots. I have a genuine boot obsession, and if I had the space I’d probably do myself some serious financial damage just with my footwear purchases. This year, my newest pair of kicks is the Rocket Dog Sheriff Boot’s in Brown. 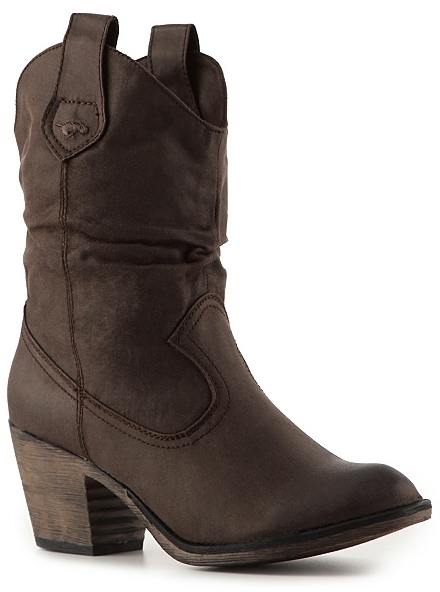 I love Rocket Dog, they always have the cutest shoes, and are always super comfy- and these have a really great urban cowgirl feel to them. Plus they add a little height- which in my case is always a good thing! There is nothing like walking into your home and having it smell just plain amazing. I love candles, and Glade has a Cashmere Woods line that smells just like fall. I prefer using the candle, although they have scented oils and sprays. It really makes your whole house smell like vanilla, and sort of like sandalwood – it’s so comforting and warm. Definitely a favorite! 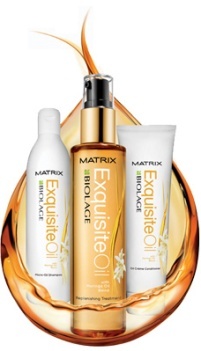 Matrix Biolage Exquisite Oil featuring a Moringa Oil blend – I don’t know if Moringa Oil is the new argan oil, but I love the shampoo and conditioner that Matrix came out with. It really leaves your hair smelling, looking, and feeling good. My locks felt light, and looked shiny and nourished after using them- what more could a girl ask for? 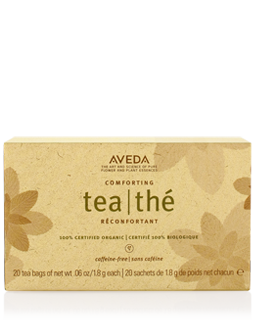 Aveda Licorice Tea- We have a tea thing at my house, and aveda’s licorice tea is a family favorite. At $17 a box, I understand it’s a bit pricy but I haven’t found its equal anywhere – when you sip it, the tea has a mild unimpressive flavor about it, but then as you continue to drink it a delicious sweetness blossoms underneath your tongue. Simply put, it’s a magically amazing tea. Thanks for reading my September favorites! Do you have any favorite products??? Have you used any of the products on my list? What about the fall season has you excited??? Let me know in the comments below! Previous Post A Light Nosh with Lipton Tea & Honey – and a giveaway! Next Post Happy National Coffee Day – and a giveaway! you have wonderful taste! Thank you! I loved reading about your September favorites! I, too, love the changing colors of the leaves and the cooler temperatures. I haven’t tried any of the products you mentioned, but now I plan to try them. I especially want to try the Licorice Tea, the wet N Wild lip color and most definitely I am going to check out those Rocket Dog Sheriff Boots! Thanks for sharing!